Chatswood stallion Reward For Effort seems to be having quite the run with an incredible 22 winners in the first 28 days of the year. With the brilliant win of Miss Norway at Caulfield for trainer John Sadler and then Rossa’s Reward at Sandown on the Australia Day public holiday, the progeny of the Blue Diamond winning stallion are enjoying their time in the sun. Chatswood’s Stud Greg Willis was thrilled to see a city double over a competitive long weekend of quality racing. “He is just an ultra-consistent stallion that keeps getting winners. With great success internationally, and with a number of city performers locally, he is proving that he is a stallion able to achieve the right results,” Willis said. “She was perfectly ridden out in front to offset the barrier, then able to relax and go easy to the line within herself. She didn’t over race and was able to show tactical and controlled speed. We were pleased by the manner in which she raced, and as she has matured, we will now look at a Group 3 Mare’s race in Tasmania,” Sadler said. Miss Norway, out of the Estambul mare Love Valley, was bred by Bucklee Farm’s Peter Buckley and was a $130,000 graduate of 2016 Inglis Premier Yearling Sale to Champion Thoroughbreds. While the other Reward for Effort success stories in January stretch far and wide across the country and include King Island’s Rising Hsiang, Moe’s Fully Maxed, Warrnambool’s Rendelsham, Geelong’s Rewalia, Pakenham’s Spare Change and He’s Sterling in Townsville. While a Werribee and Cranbourne double and wins in Seymour and Hamilton are also added to the extensive list. 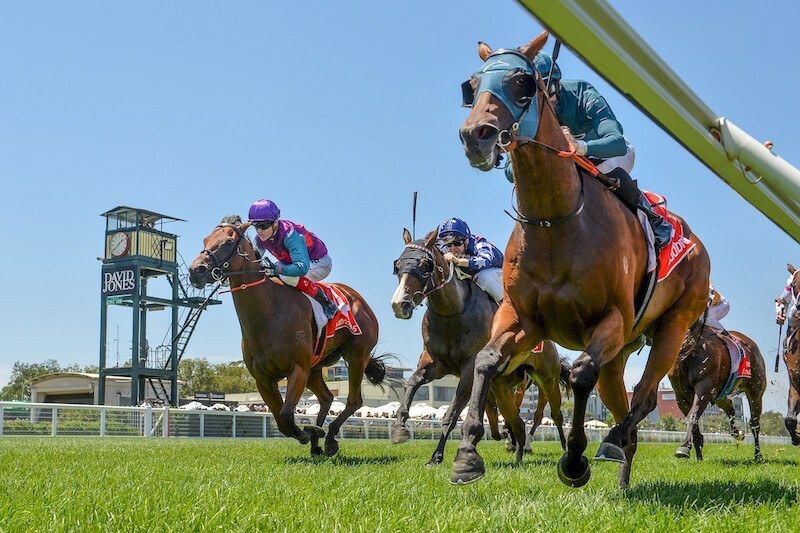 Reward’s popularity in Hong Kong also continues to soar, thanks to the efforts of Group Placed Jumbo Luck who has taken his earnings to just under AUS $1 Million, and Caulfield winner Kasi Farasi claiming another Hong Kong victory. In Macau, Rocket Along was in the winner’s circle, and Effortless lived up to his name in Singapore. Reward for Effort offers 26 lots at Inglis Premier Yearling Sale with Chatswood Stud proud to present ten of those yearlings. While another great incentive to purchase from the Victorian stud is that all the Reward For Effort’s are eligible for VOBIS Sires and nominated for Super VOBIS. To view Chatswood’s draft at Inglis Premier , visit www.chatswoodstud.com.au or phone Greg or Nic Willis on 5799 0560 for more information.